Byers Creative is proud of every unique client relationship. But when it comes to Oklahoma Cancer Specialists and Research Institute (OCSRI), we are truly honored to support the life-changing work they do for people. 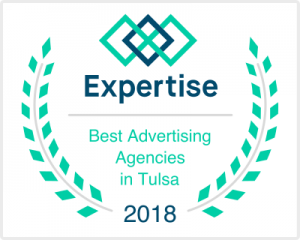 For over four years, OCSRI has trusted Byers Creative with a growing number of marketing needs. Promotional materials, video production, website design and social media management are just a few of the marketing and design services we provide. 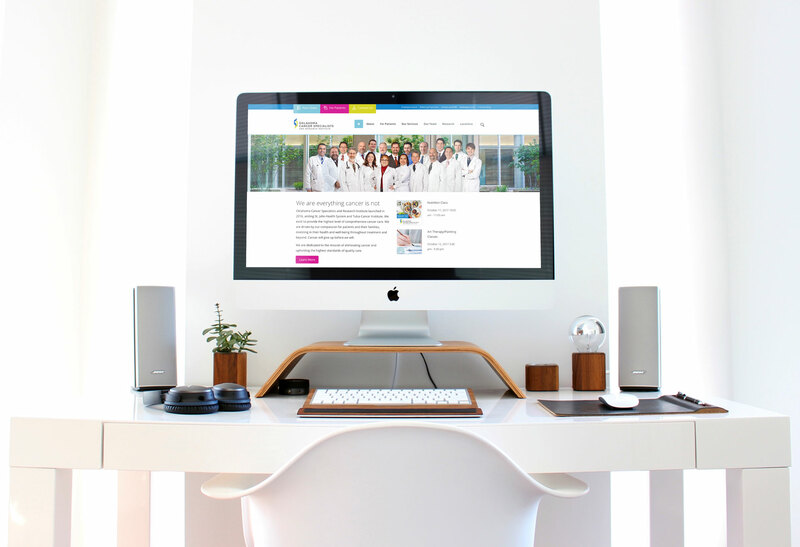 The OCSRI website is a primary point of contact for patients and family members, and their team has trusted the Byers web team with ongoing hosting and development of their site. These bio cards feature OCSRI’s doctors and nurses. 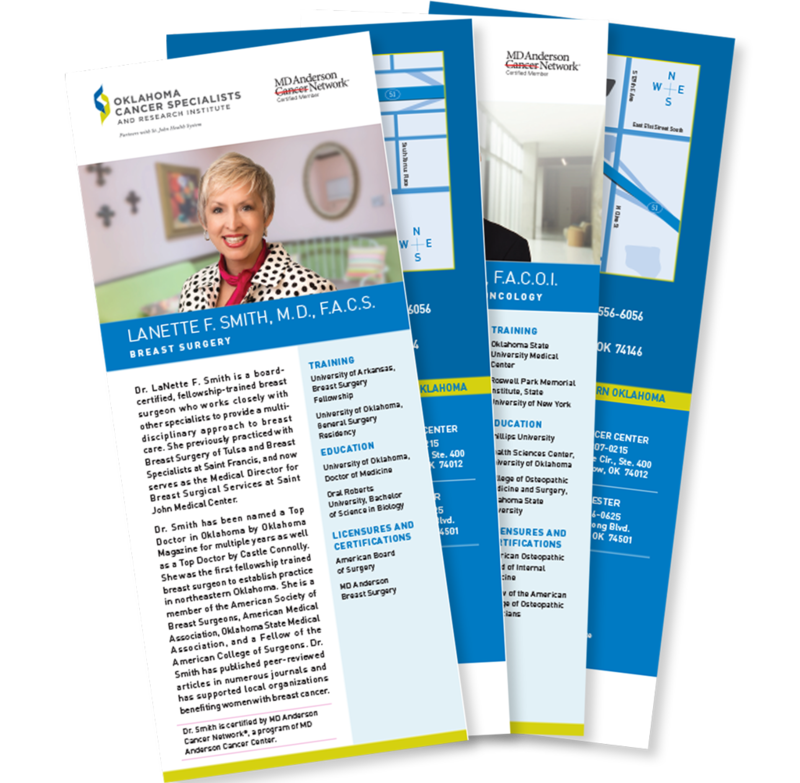 The cards contain a wide variety of background information to help patients know just a little bit more about those who are providing their care. Our team helps “put a face” on OCSRI’s amazing doctors and nurses. 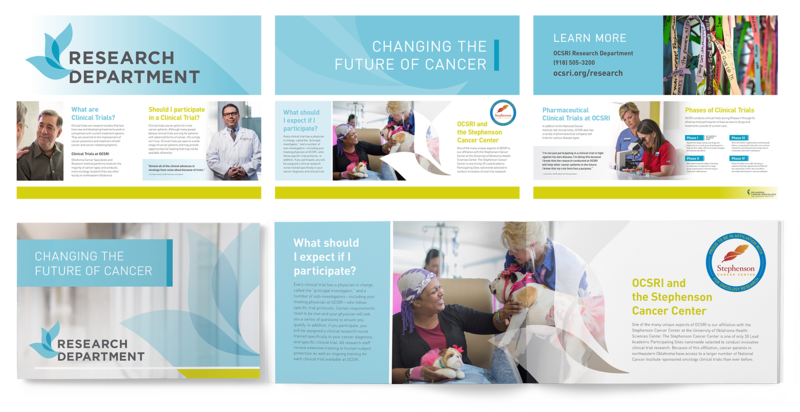 Our photography of their team is utilized across a wide variety of marketing materials. 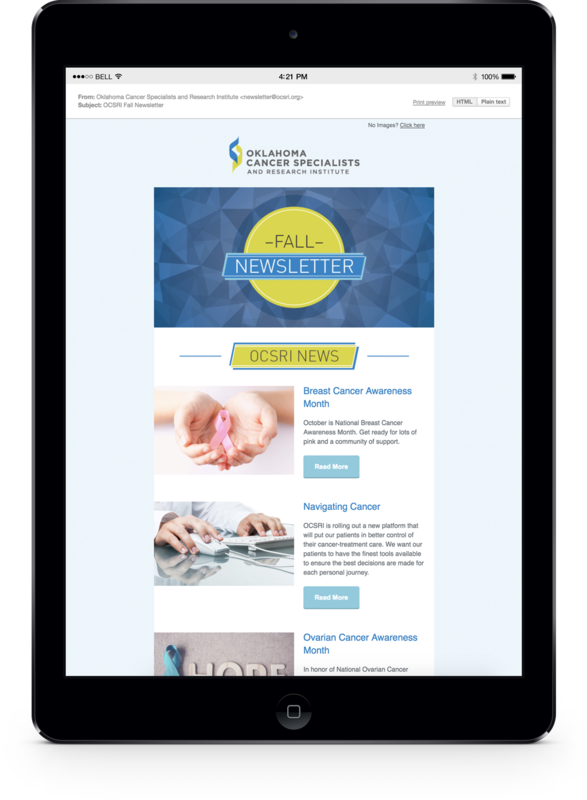 OCSRI offers quarterly newsletters like this one — written and designed by Byers Creative. Content creation, compelling messaging and Facebook live events are just a few examples of how we support OCSRI’S social media platforms. These materials were designed to help support OCSRI’s research efforts. Each one ties back to their main logo with complimentary colors and design cues. This steel ribbon is not a traditional design project, but it’s certainly a piece we were honored to help create. It is featured prominently in OCSRI’s lobby and allows patients and family members to attach their own ribbons of encouragement and/or remembrance. 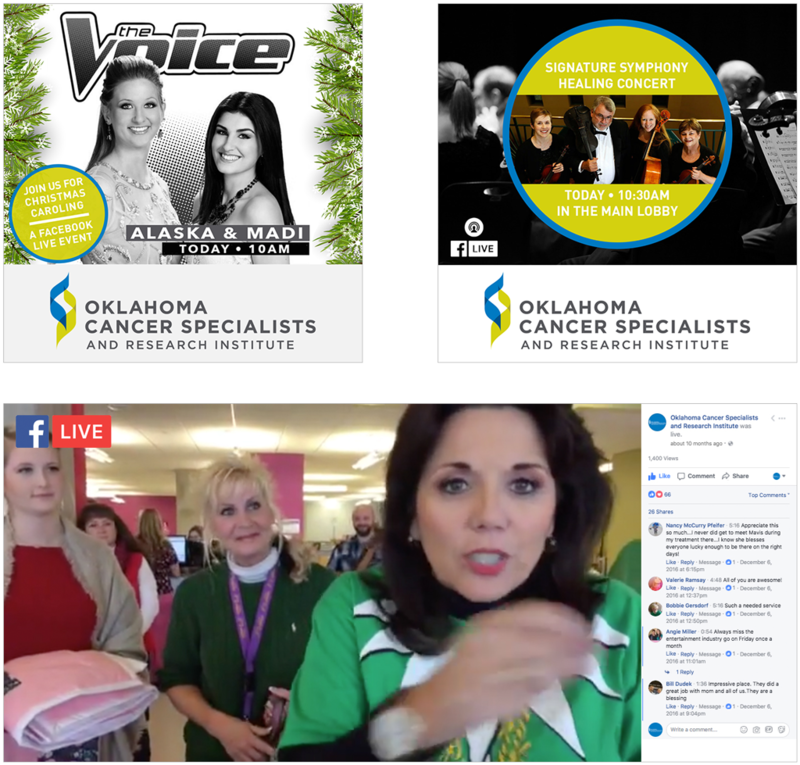 These videos were featured on social media, giving patients a platform to share how OCSRI has supported them during their journey.